Soooo cool! I can't wait to see her grow! 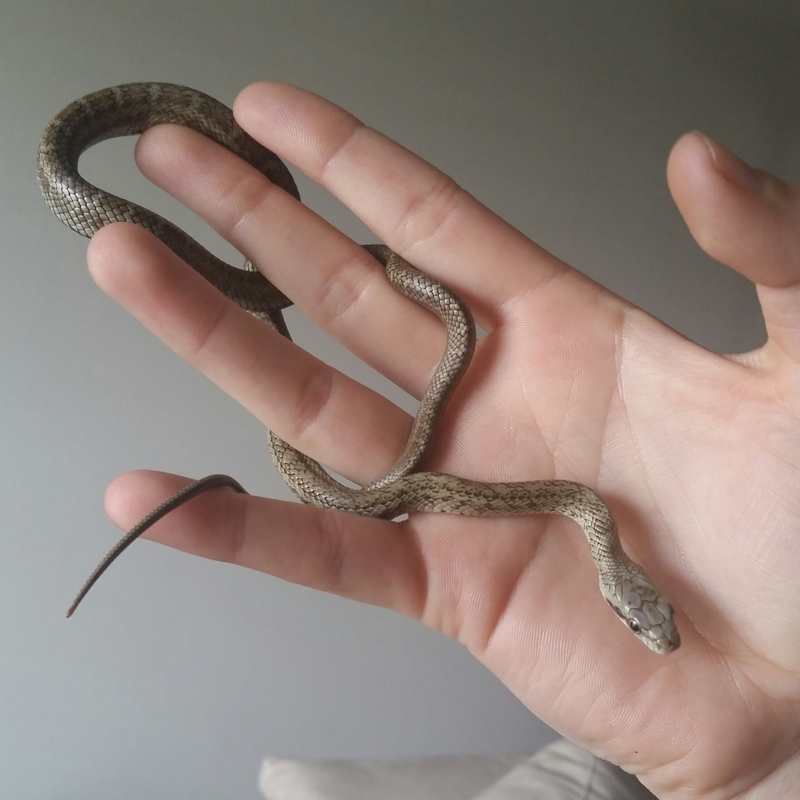 Her size reminds me of my Noodle when I got her. They grow fast! 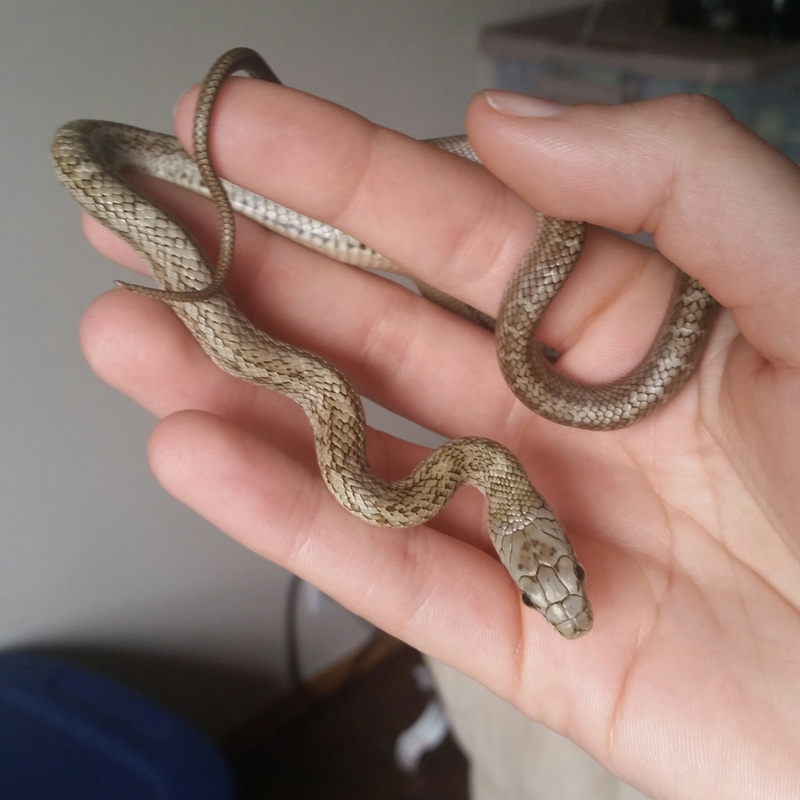 I hope so; while I'm enjoying how cute she is this small, I will admit that her current size does make me nervous during handling. My hands aren't exactly the steadiest lol. Her face is so cute! And her head is surprisingly large compared to her body, at least to me. Makes me wonder if that's part of the egg-eating thing. She's definitely fun to watch! 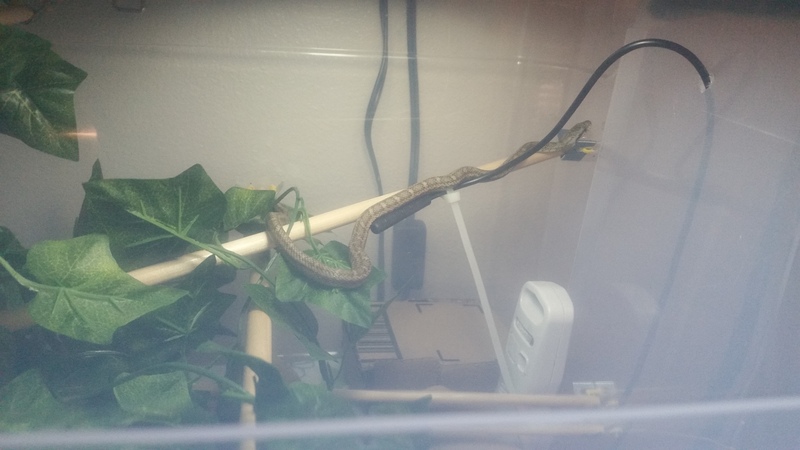 Speaking of eggs, I can't seem to find any small enough for her current size, so I guess she'll have to wait for some variety until she's a little bigger. Smallest I've found are quail eggs, and they're still pretty big when compared to Lan Fan. This photo makes it look like Lan Fan was basking, but she just paused when I got close to her tub. I'm keeping the handling sessions short, and putting her back home after she calms down. Lan Fan has done the tail-rattle thing several times now, I just keep forgetting to mention it. Maybe someday I'll catch it on video. 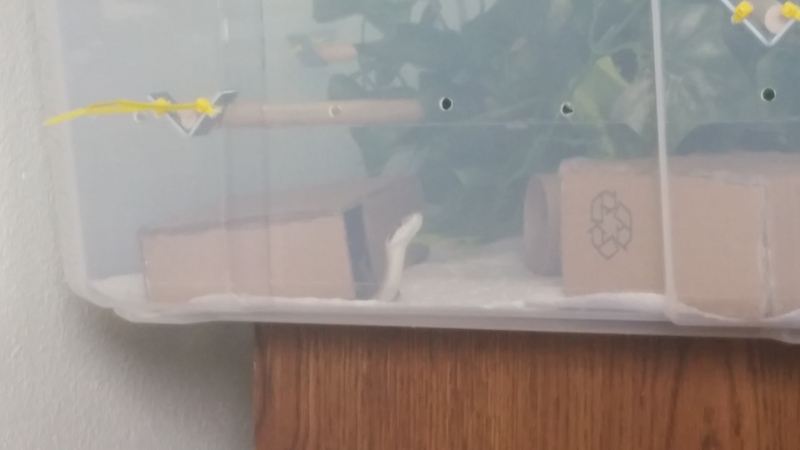 Look in her cage and you might see this from any possible angle. Always watching. And out basking this morning. I weighed Lan Fan this week, and in a month she's gained.... drum roll.... 1 gram! . Now 20, was 19. Doesn't seem like much, but I do have to remind myself that that's a 20th of her weight. I'm also going to be upping her prey size from 2 pinky mice to a fuzzy next feeding. 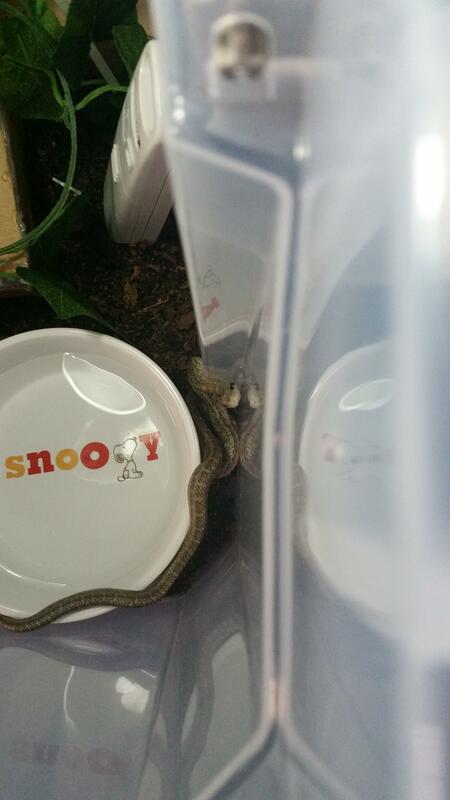 She hasn't gone into shed with me yet, so either she shed recently with the breeder or she needs to be upsized a bit. That does leave me with some leftover pinky mice that I don't really know what to do with. Seems like a shame to toss them, but it can't be helped. I had her out for a short handling session today. She does well after being taken out of her enclosure, but the being taken out and the minute or so after are pretty rough for her. 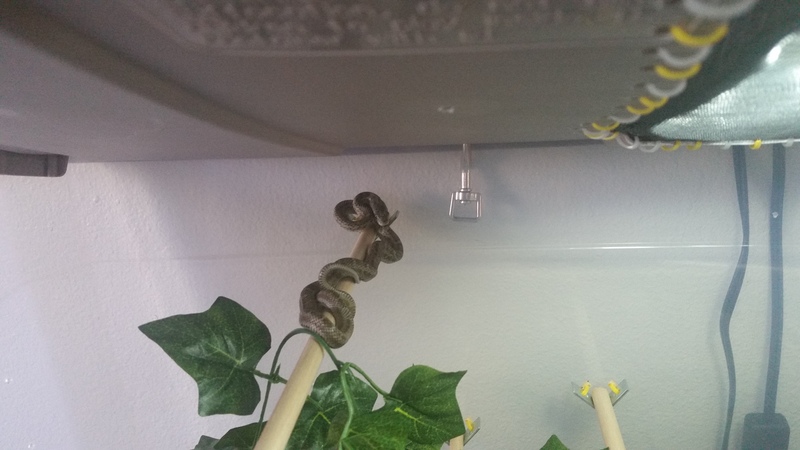 The fact that I have to come at her from above, due to the nature of her current enclosure, definitely isn't helping her get used to being taken out, as she very much sees me as a predator until she's had time to calm down a bit. That will hopefully change with time and persistence. Such a pretty girl! I love her coloration. Will that change as she grows or does it stay pretty similar to how she looks now? I personally wouldn't toss out the pinkies...just feed them as a bonus after she's on fuzzies for a while (1 of each) after she's used to the fuzzy size. She's coming right along...so cute! Thanks! 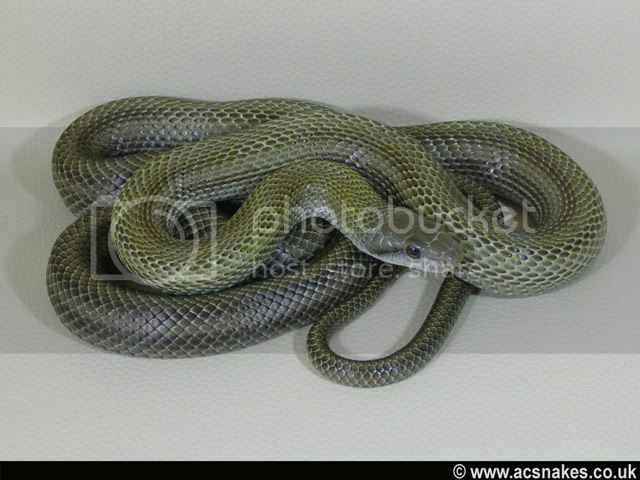 From what I understand, most Japanese rat snakes turn an olive color with a grey-ish head. They seem to lose the block shapes and get more stripey. As Lan Fan was supposedly from a "blue" line, she will probably be blue around the head and olive elsewhere. If I'm really lucky, she might even be blue all over, but I'm not getting my hopes up yet. Here's some links to someone else's adults. I apologize if they don't work -- they used photobucket, which is fickle at times about photos :/. But if they do show, you can see the variety across the board for these guys. I was actually considering feeding a single one off later in the week, sort of like a snack? She seems to have an incredibly fast metabolism, at least in comparison to what I'm used to. I could also do your suggestion, of course! Depends on how fast she grows I guess, haha. Her pattern now looks almost like a tapestry, love the look. Thanks for the links, very cool looking adults. 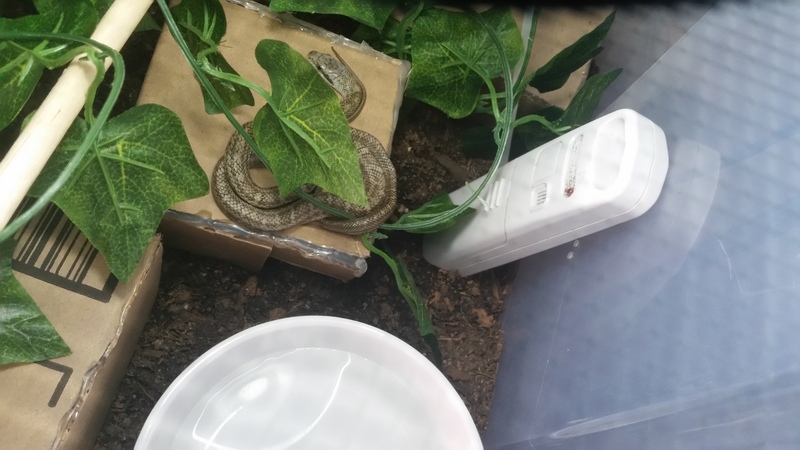 I haven’t kept any colubrids other than corn snakes and a grey rat snake, though a friend used to have kings and African house snakes that I snake-sat. Thanks to this site, I’m learning about all kinds of new species and morphs. 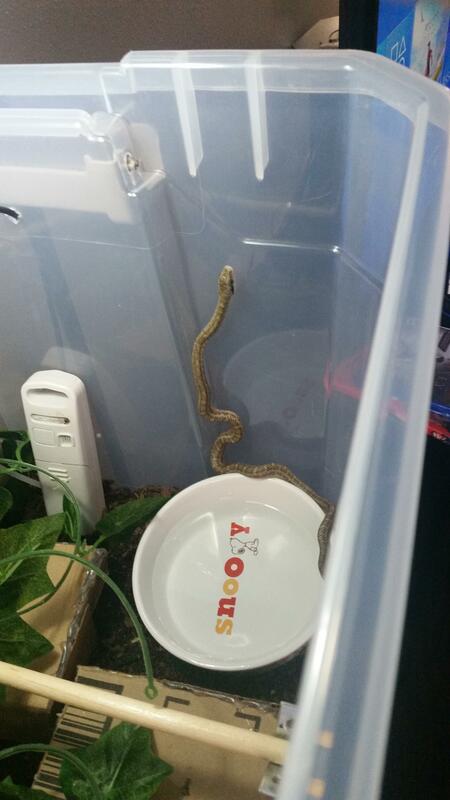 You can do that too..."snake snacks"! Colubrids have a fast metabolism, yes, but pinkies are not at all "filling" either. with yellow or orange between the scales. (they also change appearance from when they're hatchlings) I look forward to seeing your little one grow. Yeah, I hear they're mostly "water weight". Hopefully the push to fuzzies will give her a little growth spurt. 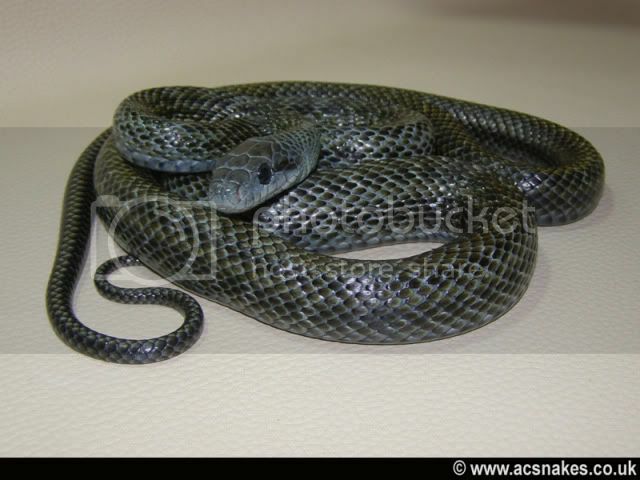 Baird's are gorgeous snakes! All the pretty ones seem to start off with an "ugly duckling" phase . Still gorgeous to me even as babies, though!